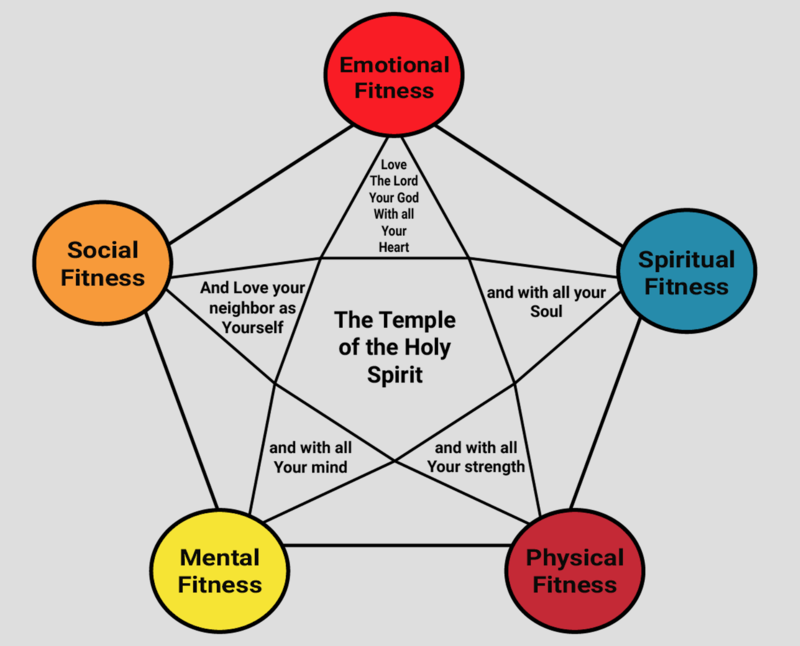 Five Fold Fitness is the Key to True Health. We are so intricately connected that neglecting to steward one area of health can create a domino effect on total temple health. For example, an event or disease affecting the body must also affect the mind, the soul and the spirit. An event or disease that affects the mind must also affect the body, the soul and the spirit, etc. We are whole human beings and our component parts, while seeming unrelated, are intimately connected. True “health” can only occur when a person’s physical, emotional, mental, spiritual and social health are addressed and on point.